If Tara Siegel Bernard of The New York Times is right, (city of) New Yorkers must be among the most irrational people in the world. In "High-Rise or House with Yard," she describes the purported financial advantages of living in a co-op apartment in Brooklyn versus suburban South Orange, New Jersey. The irrationality is that, despite the money that households can save by staying in the city, a net more than 350,000 left for the suburbs between 2000 and 2007, as E. J. McMahon and I found in Empire State Exodus, which summarized IRS inter-county migration data. Indeed, each of the city's five boroughs lost domestic migrants to the suburbs during the period. An analysis by The New York Times itself found that the city had lost net domestic migrants to every suburban county in the metropolitan area as well as to every county in newly exurban northeastern Pennsylvania. This includes Allentown-Bethlehem and Scranton-Wilkes Barre, toward which New Jersey land use regulations have driven new development. "High Rise or House with Yard" stands alone in claiming that New York City is less costly than its suburbs. The most recent (and authoritative) ACCRA cost of living index for Brooklyn is a full 40% higher than in the South Orange (the Newark-Elizabeth area). This is before considering the fact that the Brooklyn home is a 1,000 square foot coop apartment with two bedrooms and one bath, while the suburban home is a 2,000 square foot house in South Orange with four bedrooms and 2.5 baths. Smaller apples may well be less expensive than bigger oranges. The Times also assumes that the suburban resident will commute by train to Manhattan, at more than $400 per month. It is also possible that, like 80% of South Orange commuters, the new suburbanite may choose to work in the New Jersey suburbs. Maybe New Yorkers are not all that irrational after all. Moreover, people are moving even further than the suburbs and exurbs, with almost as many people moving from New York City even further away. The latest Bureau of the Census data indicates that every borough experienced a net domestic migration loss between 2000 and 2009. More than 1.2 million residents left New York City, nearly as many people as live in the cities of Washington and Boston combined. Manhattan lost more than a 140,000 net domestic migrants, more people than live in the city of Hartford. Brooklyn lost nearly 450,000 net domestic migrants, more people than live in the city of Miami. Queens lost a 420,000 net domestic migrants, nearly as many people as live in the city of Cleveland. The Bronx more than 200,000 net domestic migrants, more people than live in the city of Providence, Rhode Island. In the face of these losses of which at least some at The New York Times are aware, the article notes that "Many empty-nesters are giving up the high-maintenance house in the suburbs in exchange for the attractions of city life." Not that many. Submitted by jonesmiller on Wed, 05/13/2015 - 12:48. Submitted by jonesmiller on Mon, 05/11/2015 - 14:57. Submitted by doesurmindglow on Sat, 07/10/2010 - 18:38. And this article comes to us from Wendell Cox, who knows a thing or two about phony cost comparisons. Submitted by AlexB on Fri, 07/09/2010 - 19:05. I live in Astoria. I split my small 2 bedroom apartment with a roommate for $800 each (including utilities) and my transportation expenses run about $100 a month. It is simply impossible to get your cost of living this low if you live in a place that requires a car, which adds $500 or so to your monthly expenses (payment + insurance + maintenance + gas, etc). The "ACCRA Cost of Living Index measures regional differences in the cost of consumer goods and services..." ACCRA doesn't take into account the fact that you don't need certain goods and services if you live in one place instead of another. I don't care how cheap a bag of sugar in Jersey is. New York is a major economic center. If there weren't a ton of people constantly coming and going, it wouldn't be as successful. That being said, the overall population is increasing, so I don't really see why it's important to point out just the people who are leaving. If anything, the fact that the city can replace that many people every year should be considered a good thing. I moved here 5 years ago from 2000 miles away and will probably leave someday. I love it right now; though, and it's good for my pocketbook. Perhaps the article and this comment on it only make sense for the upper middle class. If you are young and childless, different rules apply. The city doesn't have to be all things to all people at all times. Submitted by JerseyBrett on Wed, 07/07/2010 - 19:34. When I read that New York Times article that you posted, I almost fell out of my chair. There was another New York Times Real Estate article a few weeks back that put forth simply mind-blowing, insane arguments. This may a little long of a post, but I think you’ll enjoy it. The town in New Jersey that the article uses for comparison is South Orange, NJ in Essex County. 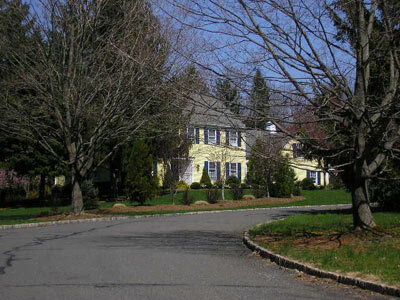 South Orange, along with neighboring Montclair and Maplewood are favored suburban towns amongst liberal-minded, creative class, New York Times readers who often move to these towns to start families. Most of the recent residents to these towns are former residents of the Upper West Side or Brownstone Brooklyn, especially Park Slope. These towns are very pleasant for the most part but have some pretty seedy sections that border incredibly dangerous areas of Newark and Irvington. Also, these towns have absolutely insane property taxes as they have to subsidize poor Essex County cities like Newark, East Orange and Irvington. Shockingly, this article fails to mention three other New Jersey counties, Somerset, Hunterdon and Morris (where I grew up and just moved back to from urban Hoboken, NJ with my fiancé), that all rank in Forbes Top 20 counties to raise a family. The New York Times honestly never ventures out of their own creative and financial social classes to understand how the middle and even most of the upper middle class lives. If you don’t live in Manhattan, Park Slope, Montclair, South Orange or Maplewood, you live in fly-over county. Back to the New York Times Real Estate article I referenced above, they honestly tried to make the argument that everyone is moving back the City because they have had an increase in the number of sales of 3 and 4 bedroom condos. They even got a real estate director to say that empty nesters are all going to move back to the City into 3 and 4 bedroom apartments. Just read this telling piece from the article. Yes, they honestly believe that retiring empty nesters in their 60s are going to shell out $2.5 million for 3 bedroom condos so their grandchildren can come visit. Submitted by Wendell Cox on Thu, 07/08/2010 - 13:40. Enjoyed your comment, because it is such a reflection of reality. The Times lives in a world that believes that most suburbanites work in NYC or even Manhattan. It is not even close... not even in Nassau and Suffolk, much less Hunterdon, Middlesex (where I used to live), Ocean or Pike County, PA, which of course most people don't even know is in the NYC metropolitan area. I used the South Orange example because they did. What shocked me was that in research for the blog I found that 80% of South Orange workers do not cross into NY state, despite the fact that it is so close. Close to 80% of the jobs in the NYC region are outside Manhattan and more than 90% of the population. A pretty dispersed metropolitan area, unless Manhattan's towers block any genuine perspective. Submitted by peter on Wed, 07/07/2010 - 15:19. Domestic migration is is only one part of population change. The fact is that New York City's population is growing substantially due to both international migration and natural population growth (births minus deaths). There is a lot more population increase from these factors than population decrease due to domestic migration. Look at the other major immigration destination in the US: Los Angeles County: negative net migration over the last decade of 1.1 million(!). In both cases, a lot if not most of domestic migration is really secondary immigration: immigrants move to the US, initially find homes in NY or LA, and later move elsewhere in the US. This is obviously a much different type of domestic migration than Detroit or Cleveland, where the prevailing issue is the lack of jobs.